...in the year 2001, or the beginning of the 21st century, China... will have become a powerful socialist industrial country. I learnt a bit more about Norman Bethune, the Canadian physician who worked with Mao after serving as a doctor during the Spanish Civil War, and discovered interesting viewpoints on "democratic centralism". Mao discusses political theory, education policy, "contradictions" and ways to overcome these, such as that that exists between classes, officers and men, comrades, and in terms of patriotism versus internationalism. Mao's quotes are all after The Long March (the Red Army's retreat in 1934 that left only 1/5 of the Army remaining, but ultimately led to the Red Army's victory and was to become a major pillar of Communist Party propaganda). Following on from The Long March, this collection of quotations is an intense lesson in the modern history of China. Many of the quotes are drawn from the "Selected Works". It is difficult to buy English translations of the less popular works by Mao, and I would like to read more of this in future, as, for all his other not insignificant digressions, he was certainly an important scholar, poet, and political theorist. 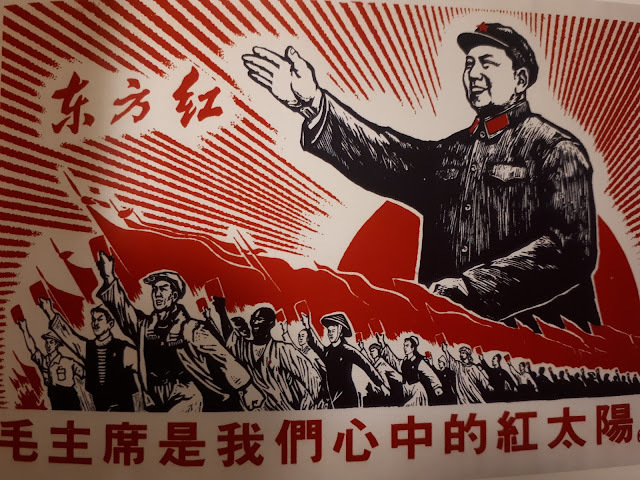 Like anything that is not of "us", Mao's works have largely been ignored, yet he, and later, Deng Xiaoping, were the driving forces behind the Chinese powerhouse that has emerged in my own lifetime. "Socialism with Chinese characteristics" is something that we should all be studying at this point in history, and this "little red book" is a good place to start.